Reconfigurable computing is awesome. Why isn’t it more mainstream? 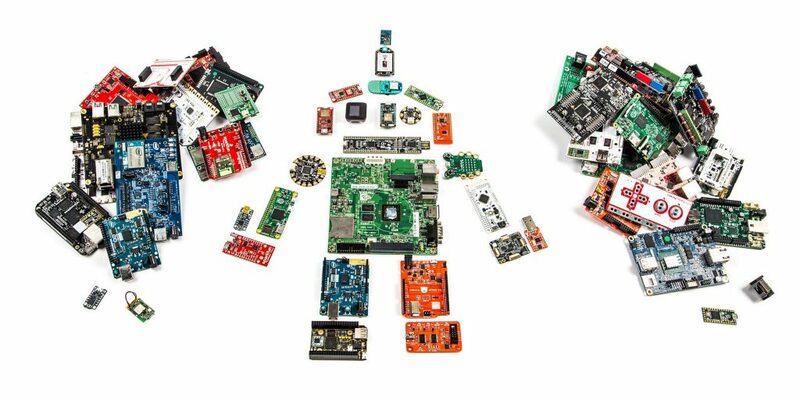 In the electronics maker community, when picking a board to run your project, there seem to be three realms of embedded design platforms: microcontroller-based (Arduino, Gadgeteer, Micropython, NodeMCU, STM Discovery, TI LaunchPad, eval boards, etc. ), single board computer-based (Raspberry Pi, Beaglebone, Intel Edison, etc. ), and FPGA-based (Papilio, Pipistrello, The Mojo, miniSpartan6+, etc.). Why is there such a trade-off in feature set between the three realms? Can we design one relatively flexible board that includes the best features of all three? There are a lot of maker board options out there. Artwork developed by Maker Media, Inc. See http://makermedia.com. Prototyping hardware can be expensive, especially considering the cost of some diagnostic equipment and debugger infrastructures. Can we make prototyping platforms less expensive, to be more accessible to students, hobbyists, and tiny startups? Can we re-use expansion boards, peripherals, and accessories that are already widely available on the market today? 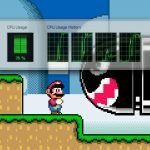 Conventional emulators have issues with latency, accuracy, and timing – just ask the creator of Higan who believes it takes a 3 GHz CPU to accurately emulate the SNES. This has motivated huge projects like the Replay, Zimba 3000, and Papilio Arcade. Today’s system virtual machines also have architectural limitations, driving a German computer engineering researcher to investigate the use of reconfigurable logic devices in instantiating virtual machines. Wouldn’t it be awesome to have one compact board with generic hardware that makes it easy to develop custom computers, or clone retro computer and gaming systems, while using modern displays, mice, keyboards, controllers, and internet connectivity? You could clone, and re-clone, and reclone… to your heart’s content! From those questions, Reclone Labs is born. In the coming years, Reclone will watch several trends – FPGA and microcontroller technology, computer engineering research, the Internet of Things (IoT) landscape, the hobbyist and educator community – and we’d appreciate your feedback, suggestions, and constructive criticism as we strive to create useful and versatile reconfigurable computing platforms. As Reclone makes progress toward its goals, our desire is to share that progress and discuss some technical pieces that could prove useful (or, at least, interesting) to the Internet community. Stay tuned – there’s more to come! Please subscribe if you'd like to receive email notifications of new blog posts.